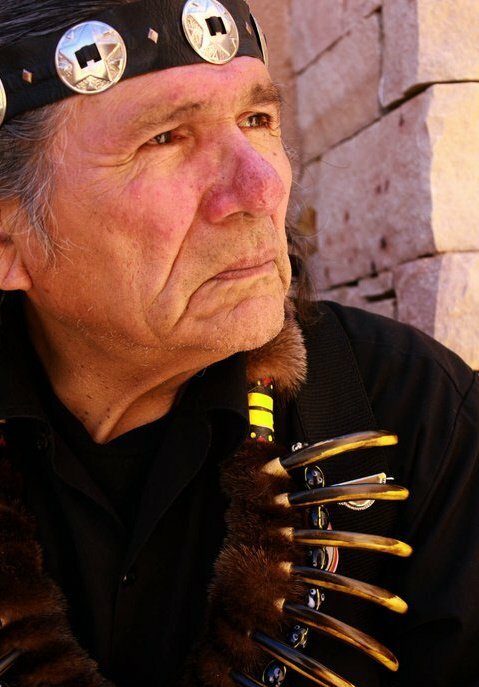 White Wolf : Dennis Banks will begin his final journey home to join ancestors. 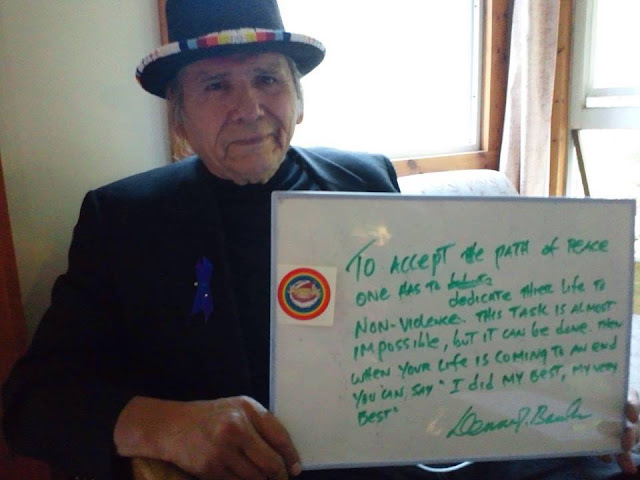 Dennis Banks will begin his final journey home to join ancestors. Dennis Banks (born April 12, 1937), a Native American leader, teacher, lecturer, activist and author, is an Anishinaabe born on Leech Lake Indian Reservation in northern Minnesota. Banks is also known as Nowa Cumig (Naawakamig in the Double Vowel System). His name in the Ojibwe language means "In the Center of the Universe." He has been a longtime leader of the American Indian Movement, which he co-founded in 1968 with Native Americans in Minneapolis. Banks participated in the 1969–1971 occupation of Alcatraz Island, initiated by Indian students from San Francisco of the Red Power movement, and intended to highlight Native American issues and promote Indian sovereignty on their own lands. 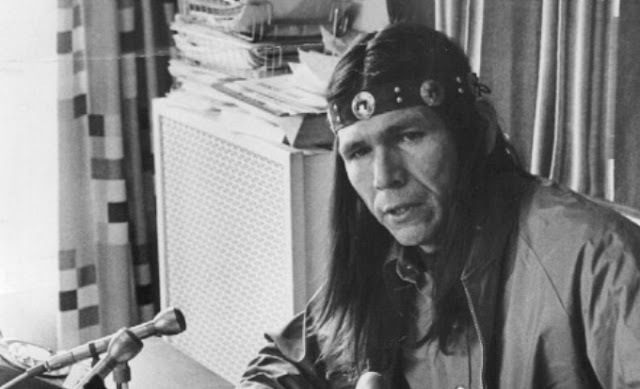 In 1972 he assisted in the organization of AIM's "Trail of Broken Treaties", a caravan of numerous activist groups across the United States to Washington, D.C. to call attention to the plight of Native Americans. In 2006, Banks led Sacred Run 2006, a spiritual run from San Francisco's Alcatraz Island to Washington, D.C. The runners followed the ancient Native American tradition of bringing a message of "Land, Life and Peace" from village to village. They traveled around 100 miles every day and entered Washington, D.C. on Earth Day, April 22, 2006. Along the way, they took a southern route in solidarity with those who were rebuilding after hurricanes Katrina and Rita. Major events were held in Albuquerque, New Orleans, Philadelphia, Knoxville, and Washington, D.C.
Over the past 30 years since "The Longest Walk" in 1978, Sacred Runs have become an international movement. Sacred Run 2006 had runners from Japan, Australia, Ireland, and Canada, as well as many from the United States. International "The Longest Walk 2" followed in 2008 the Sacred Run 2006 route, as well as the original route of 1978 walk, ending with the "Manifesto for Change" delivered by Dennis Banks to Representative John Conyers. Responses to "Dennis Banks will begin his final journey home to join ancestors." Prayers for a smooth transition. Many blessings to your family. You will be missed brother. Safe journey, I will sing for you. I will ever be thankful that I got to meet Mr. Banks. What an inspiration to us all. A'e'e'i'yeh brother for the gifts and talents you shared with us. Love and light for your journey to our Ancestors. I will see you there.